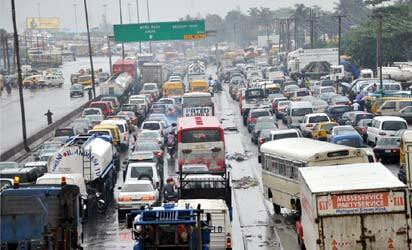 ….as LACVIS calls for review of Road Worthiness By Bose Adelaja A commercial vehicle in Lagos, has failed 61 out of over 200 possible computerized tests as conducted by Lagos state Computerised Vehicle Inspection Service LACVIS, just as it urged vehicle owners to renew their Road Worthiness. expressway from Sanya Bus Stop to Mi|le 2, recently. three hours due to rainfall and bad drainage . ome of the defects detected were: incomplete pedals, malfunctioning wipers, smoky exhaust, non-functioning headlamps, brake lights, parking and rear lights, damaged absorber, missing bolts, wear and tear of joints, misalignment of components of the steering linkage, excessive oil leakage, lack of spare wheel and missing wheel nuts and ineffective horn to mention but a few. Why name only Lagos na?